This is one of the most popular and flavorful of the winter or storage squashes. The dark-green skinned fruits are deeply ribbed and grow about 5 long and 4 in diameter. The orange flesh is sweet, firm and excellent alone or in dishes. This is a good storage variety. Table Queen Acorn Squash is one of the most popular and flavorful of the winter or storage squashes. The dark-green skinned fruits are deeply ribbed and grow about 5″ long and 4″ in diameter. The yellow-orange flesh is sweet, firm and excellent alone or in dishes. This is a good storage variety. 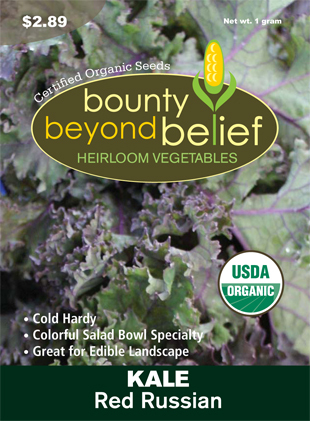 Planting and care: Directly sow the seed into rich, fertile soil when danger of frost is past. Sow seeds in groups (hills) of 4-6 seeds and thin to the 2 strongest plants per group. Water regularly and fertilize when the lateral runners begin to spread. Harvest: Shortly before fall frost, cut squash from the plant, leaving a portion of the stem attached to the squash. The skin should be dark green and firm. 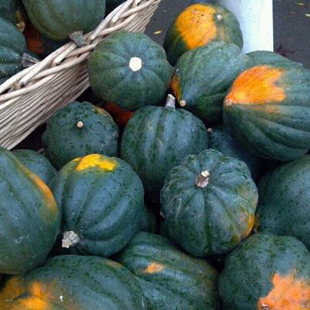 Your Health: This squash is an excellent source of fiber and vitamin A and also supplies minerals and vitamins B and C.